Science@Cal and Community Resources for Science featured at the Family Fun Festival! 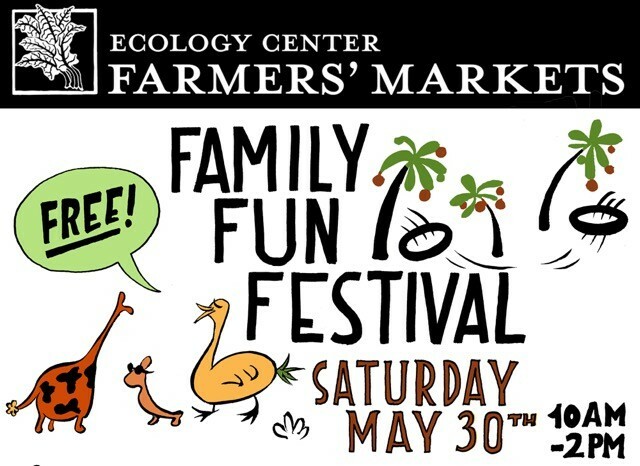 The annual FREE Family Fun Festival is back this year on Saturday, May 30th at the Downtown Berkeley Farmers’ Market from 10am-2pm! Once again the event is co-sponsored by the Ecology Center, YMCA, the City of Berkeley, and BART and will feature games, contests, performances, and hands-on activities for all ages! Highlights include a farm animal petting zoo, bounce houses, obstacle courses, face-painting, puppet-making, and collaborations with the Berkeley Public Library, Science@Cal, artist Zach Pine, and East Bay Depot for Creative Reuse. For the older kids in your family, the City of Berkeley will host a skateboard contest beginning at 11am. Come support your local farmers’ market while enjoying a whole day of FREE family fun!